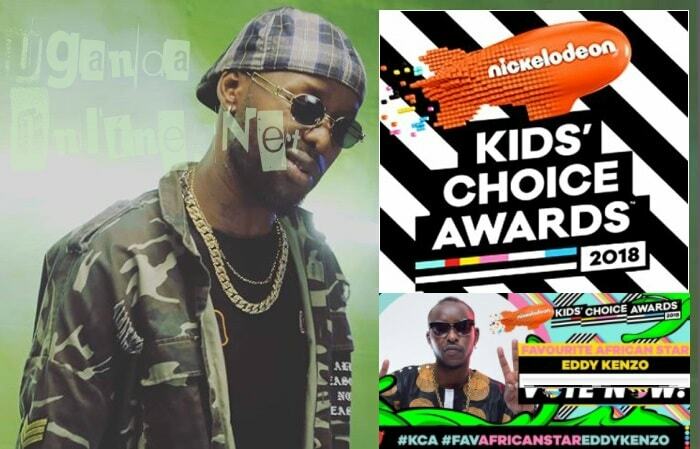 The 2018 Nickelodeon Kids' Choice Awards #KCA were held on Saturday (Mar 24) and our very own Eddy Kenzo was among the winners of the Nickelodeon orange blimp. The 'Terela' singer was nominated in the Favourite African Star category alongside Bongo Flava star, Diamond Platnumz, from Tanzania, Caster Semenya and Cassper Nyovest from Soth Africa. Others in the category included Davido from Nigeria though Eddy Kenzo's main challenger was Nigerian kid comedienne, Emmanuella Samuel, she gave him a run for his money, which is understandable considering that most of the voters were kids who had to choose their own, it was a tight race between Kenzo and Emmanuella going by the tweets. This is coming just days after he won the Best African Entertainer at the 36th edition of International Reggae and World Music Awards (IRAWMA). "Congratulations Uganda, Congratulations East Africa, Congratulations Africa, Congratulations Eddy Kenzo team #WeDidit I'm speechless," Kenzo noted on his wall. "This boy has done it again, Congs Kenzo, you continue to make us proud #GhettoTalent," Hon. Robert Kyagulanyi aka Bobi Wine noted. "Thank you great man," Kenzo returned the love.